*Sigh…* What could’ve been Zack Snyder’s moment to turn the DC Film Franchise around, ended up being another over-hyped dud. 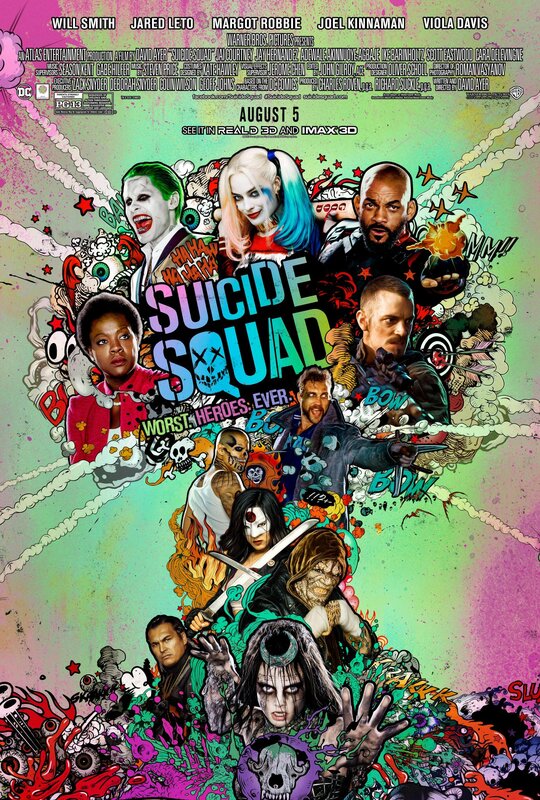 It’s not that Suicide Squad is a terrible movie… it just could’ve been much, much better. Revolving around six super villains , “hired” to do top-secret government stuff, the film opens by introducing each character with their individual background story. For people not familiar with The Squad, such as myself, this is necessary. The problem is, that even after their introductions, you still really don’t know who they are, or care too much either. It felt like the production team tried too hard at trying to make this team cohesive and relevant. The writing and dialogue seemed inauthentic and forced, and often fell short of delivering some great lines. Even Harley Quinn & Joker’s love tryst played as a side story, with Jared Leto’s Joker being more of a secondary character, not in the squad itself. Will Smith and Margot Robbie help to add some star power, but Big Willie’s Style wasn’t enough to save the movie on its own. I give the film 1 out of 5 stars, cause at least visually, the movie had pretty good special effects and some good action sequences (although the creatures they fought looked like the Puttys from Power Rangers, just more muddy). Hopefully Justice League will be a case of “third time’s the charm” for Zack Snyder and crew. You can wait to see this till it comes out on Redbox, Netflix, etc.